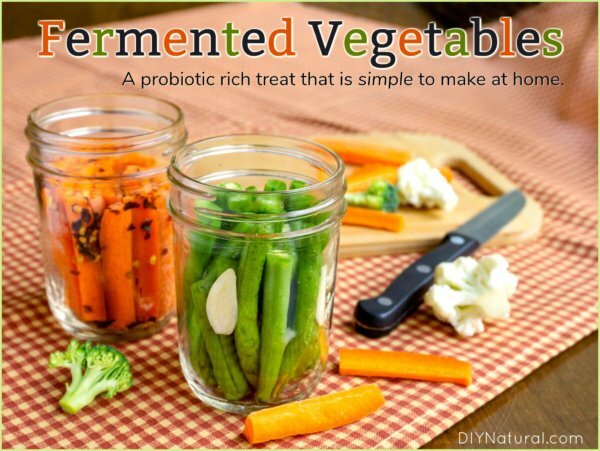 Home DIY Natural Blog Food Recipes Fermented Vegetables: Simple, Delicious, and Rich in Probiotics! Lacto-fermented vegetables. Sounds intimidating right? I thought lacto-fermenting involved milk or whey. And I wasn’t sure that milky vegetables would really be my thing. Now, the funny thing is that I’ve been making my own sauerkraut for years. But, for some reason I didn’t make the connection between fermented vegetables and sauerkraut. Sauerkraut is easy. But, fermented vegetables seemed vague and difficult. Once I dove in though, I found that fermenting any vegetable is just as easy as fermenting cabbage to make sauerkraut. Lacto-fermentation actually has nothing at all to do with lactose or dairy. Here, “lacto” is talking about lactic acid. Fruits and vegetables typically have the beneficial bacteria Lactobacillus on their surface. Often when we think about bacteria we think of it in a negative way, but not all bacteria is bad. In fact, Lactobacillus is quite good. When placed in an oxygen-free environment, Lactobacillus turns sugars into lactic acid. In turn, this lactic acid prevents the growth of harmful bacteria, acting as a preservative for the produce, and giving fermented foods their tangy flavor. So, why would you want to make your own fermented vegetables? There’s lots of talk these days about gut health, as we’re discovering just how important our gut is to the health of our bodies as a whole. Fermented foods add good bacteria to the gut. This good bacteria helps to do many things like strengthen the immune system and regulate appetite. Fermented vegetables are a great and tasty way to get a daily dose of probiotics to maintain gut health. Once you jump on the fermented veggie train, it’s hard not to want to FERMENT ALL THE THINGS! So, what CAN you ferment? Can You Ferment Any Vegetable? Actually, you can ferment pretty much any vegetable. Some vegetables just require a little more care or a different process than others. For example, delicate leafy greens and cabbages have so much moisture in them already that you don’t need a brine like we use in our recipe below; they create their own brine with just some salt. Other vegetables with a higher water content, like summer squash and sliced cucumbers, may get mushy during the ferment. These veggies benefit from adding an ingredient high in tannins, like grape leaves or black tea leaves. Fermenting vegetables might seem like a daunting task, but really, the steps are pretty simple. Evenly cut ingredients. While you can ferment any vegetable you like, you’ll want to make sure the ingredients in your jar are roughly the same shape and size. This will ensure that they all ferment at the same rate. Salt brine. Pack your fermenting jars with the vegetables and cover them with salt water. Keep everything submerged. The key to lacto-fermentation is that it all has to happen in an oxygen-free environment. If any of the vegetables are exposed to oxygen, you’ll see your not-so-friendly mold appear. 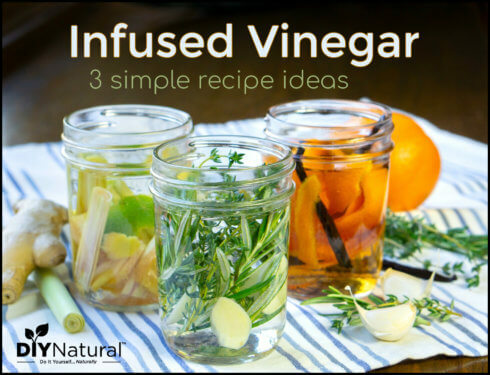 You can keep the ingredients submerged by nesting a smaller jar in a larger jar, placing a glass weight in the jar, or covering the ingredients with a cabbage leaf. Taste your fermenting veggies. Fermentation is done when the veggies taste good to you. Fermentation can be fast or slow, depending on the temperature and the vegetables. So grab a taste every day or so to check flavors. Store your fermented vegetables in a cool place once they have reached a flavor that you like. The refrigerator or a root cellar are the best options. Cooler temperatures slow down fermentation, so your veggies will stay good for months! I designed this recipe to be more of a guideline rather than a set recipe. Use whatever vegetables and whatever seasonings you like, and as long as you follow the fermenting steps you'll have tasty, probiotic-rich snacks at your fingertips. Fill a clean, wide mouth jar with the chopped vegetables, leaving at least 1½ inches of headspace. In a one quart liquid measuring cup, mix together 4 cups of water with 2 Tbsp sea salt, until the salt has dissolved. Pour the salt water brine over the vegetables in your jar, leaving one inch of headspace. Place a smaller clean jar (or other weight) inside the first jar to keep the vegetables submerged below the brine. 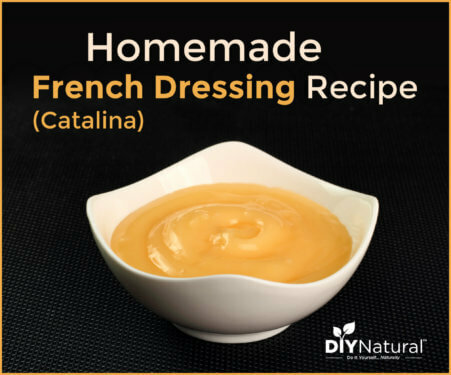 Leave your vegetables to ferment on the counter for 2-3 days. (The ideal fermenting temperature is 70-75°F.) Check them daily to be sure all the vegetables are staying below the brine. By 2-3 days, you should start to see some tiny bubbles forming at the top of the brine. Start tasting your vegetables after 2-3 days. 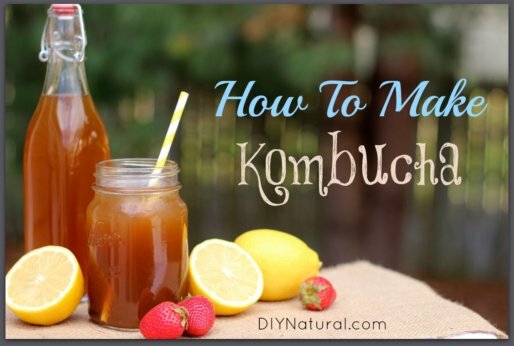 Once they reach a flavor that is to your liking, you can remove the weight, cover the jar tightly, and place the fermented vegetables in the refrigerator. They are ready to enjoy! Fermented vegetables make a wonderful appetizer or garnish to a sandwich or grilled meats. Or, just snack on them throughout the day, and know that you’re doing good things for your gut! Have you ever fermented veggies? If so, what veggie combinations have you tried? Share with us below! I would be really grateful if you could give metric measures on your recipes as well thanks a lot! It’s actually better if you don’t peel fruits and veggies before fermenting. Just a gentle wash to remove excess dirt/grit. I use the freshest organic or/and home grown produce when I can get it. I’ve had a few failures due to errors on my part, but overall it’s been great! Makes sense! Thanks for sharing! I really want to try this, but I’m a little confused. You say that oxygen is not a good thing, but then to cover the jar with something breathable. Won’t that allow that naughty oxygen to get in and mold it? Thanks much for any clarification! Suzy, I think the oxygen needs to stay away from the veggies. But, there will be gasses formed from the fermentation that will cause pressure to build up if not released. The mold will only grow on the veggies if they are not submerged in the water, so it is suggested to place something on top of the veggies to weigh them down and keep them underwater. Thanks Elyse! As I thought it through it made sense that the veggies were *submersed* and therefore not affected by the oxygen. I can’t wait to try this. I’m in green bean overload from the CSA! Elyse is correct! You need to let the gasses escape so you don’t have built up pressure. The mold will grow on the veggies if they’re not submersed in the brine. Enjoy! My mother in Germany always made her own sauerkraut and she fermented green French style beans. They smelled awful when she cooked them,but were so delicious. I am partial to homemade sauerkraut! I’d be interested to try French style beans! Enjoy!